In this next part of our Seoul Food Guides, we will share with you some must-try restaurants in Seoul, from casual spots to fine-dining establishments. 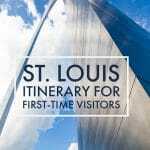 You will find information regarding location, what to order there and my brief reviews of each place in this guide. This is by no means a definitive list of must-try restaurants in Seoul. The city is home to many great restaurants and I’m sure we’ll visit it again to try new places. All the restaurants recommended below either have a separate English menu or have English translation in their menu. They are all in areas easy to access for tourists. Some seem to be visited mostly by locals while some have a good mix of locals and tourists. Regardless, we recommend them because their food is delicious :). You may also want to check out our 10 Must-Eat Foods in Seoul if you haven’t read it. Address: 26, Itaewon-ro 27 ga-gil, Yongsan-gu, Seoul. You can go to Hamilton Hotel, take the elevator in the lobby to the Maple Tree House. 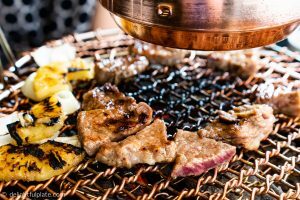 Review: The Maple Tree House is a barbecue restaurant in Seoul, so of course you need to order barbecue when eating there. For two people, I recommend ordering two plates of BBQ meats and a bowl of jumbo galbitang. You will also get salads, side dishes and fluffy steamed egg with your order. Their hanwoo has beautiful marbles and melt-in-the-mouth texture. The short ribs are seasoned with a great balance of sweetness and saltiness. What I like the most about this place is they don’t force you to order at least two servings of the same type of BBQ meat. Some barbecue restaurants have this requirement and I don’t like it very much. Some of their staff can speak pretty decent English. 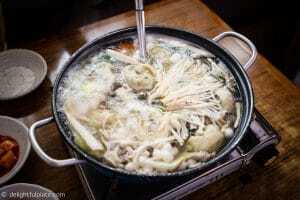 Review: Tosokchon Samgyetang is popular with both locals and tourists. The restaurant is in a hanok-style house with different dining rooms. We sat in a room that has long communal tables for all diners. The menu not only has English translation but also provides English instructions of how to eat samgyetang. They stuff a whole young chicken with sticky rice, a large piece of ginseng, chestnut, and jujube dates. The sticky rice was particularly flavorful because it was infused with ginseng aroma. We came at 7:30 pm and didn’t have to wait, but I read that you may need to wait during busy hours. I remember each order of samgyetang here is about 18,000-20,000 krw. What to order: fried chicken of course :). 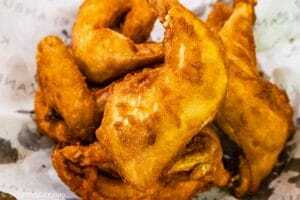 Review: Kkanbu Chicken provides diners with a lot of options, from breaded to no breaded chicken, with sauce or no sauce. The menu has English and descriptive photos so ordering shouldn’t be a problem. We got the classic 6-piece fried chicken (18,000 krw), and to clarify “piece” here means a whole chicken leg or whole wing (see the photo above)! That’s pretty cheap I think. It came out very yummy, crispy and piping hot with a spicy dipping sauce on the side. The skin was so thin and crispy, and there was almost no fat underneath. The legs were juicier and tastier than the wings, so keep that in mind. This restaurant is quite loud and I saw a lot of locals here with huge plates of fried chicken and beer on their tables :). Review: Gaeseong Mandu Koong nestled in a small alley in Insadong, Seoul. From the moment we walked in, we were greeted with warm smiles from the ladies working there even though they didn’t speak much English. We had their mandu casserole (hot pot) for two people. It came out with eight plump dumplings, filled with pork, ginger and chives. 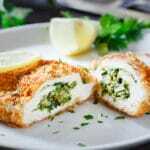 The skin was quite thin and the filling was fresh and delicious. The hot pot also contains a light broth made from beef and vegetables, some beef slices, a lot of veggies and a few green peppers which provide a slightly spicy taste. We also ordered a seafood and green onion pancake and I wish I could describe how crispy and yummy it was. Gaeseong Mandu Koong is definitely one of the must-try restaurants in Seoul. Delicious and fresh food, generous portion, reasonable price and warm service. This restaurant is in an area with many art galleries and craft shops in Insadong. Review: Hanilkwan serves traditional, familiar Korean foods in a nice setting. I wouldn’t say it’s fancy but it is a step up from other casual restaurants in Seoul. Some may say the price is higher with smaller portion but we didn’t find those to be an issue. I was very pleased with the galbitang I had here. 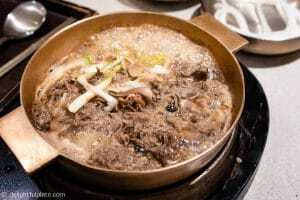 The broth is super clear and you can clearly taste the sweetness coming from the main ingredients: beef short ribs and daikon radish. The galbitang here also has a subtle and pleasant herbal fragrance. Review: Onedang Gamjatang opens 24 hours so you can eat it any time you want. We had their hearty gamjatang for breakfast and it was a perfect way to wake your sense up for the day or cure your hangover :). The gamjatang here comes in three different sizes. We chose the smallest size (29,000 krw) which was enough for two or even three people. Be prepared to brush up your chopstick skills here because you will need to use your chopsticks to pick out the meat from the pork bones. 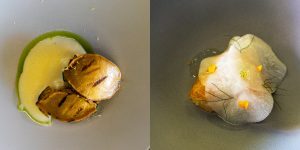 Review: Mingles is a one-Michelin-starred restaurant in Gangnam area, serving elevated dishes using Korean ingredients and techniques. Dinner is twice as expensive as lunch so we decided to have lunch here. Prepare to spend 1.5 hours to 2 hours here. Service was polite and quite attentive though it was sometimes difficult for me to understand the staff’s explanation for each dish. I would say the food at Mingles has light and well-balanced flavors with fresh and quality ingredients. It doesn’t have the intense spiciness or strong pungent taste as some other popular Korean food, but everything was very tasty. I particularly enjoyed their abalone, galbi (photo above) and bansang. Their tableware is also beautiful. 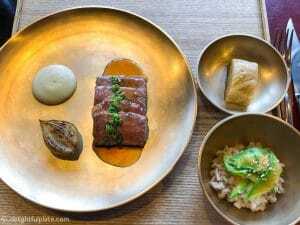 Review: Jungsik is also a fine-dining restaurant in Gangnam area and it has 2 Michelin stars. Service was polite and staff spoke better English than at Mingles. However, I felt more warmth and friendliness at Mingles than at Jungsik. Another thing Mingles did better than Jungsik was the menu. Mingles had a separate English menu which gives you an idea of the ingredients used in the dish without giving everything away. On the contrary, Jungsik menu only tells you the main ingredient in the dish and sometimes they use Korean words without equivalent English names of the ingredients. We had to ask our server to explain the meaning of half of the menu. Some of the dishes we had were brilliant, such as gujeolpan and seared abalone. However, some were a little disappointing. I thought Mingles gave me a more consistent experience from start to finish than Jungsik. If I could choose only one of them to dine at, I think I would go with Mingles. What to order: their bingsu, especially the black sesame red bean bingsu. 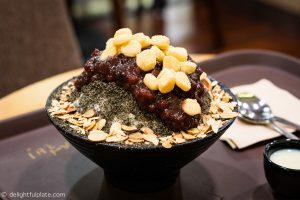 Review: we really like Sulbing, a dessert cafe chain in Seoul that serves bingsu. Their shave ice is so soft and fluffy, just like snow. If you aren’t too hungry, a bowl of bingsu here is big enough for two people. As mentioned above, our favorite is the black sesame red bean bingsu. We didn’t like their injeolmi bingsu which contains bean powder. It didn’t have a lot of flavors and the powder was so fine that it could make you cough. Review: the shave ice at O’sulloc isn’t as soft and fluffy as at Sulbing, and in fact, it’s more like crushed ice. However, they are super generous with the amount of green tea powder in their bingsu which gives it a strong green tea flavor and I love that. 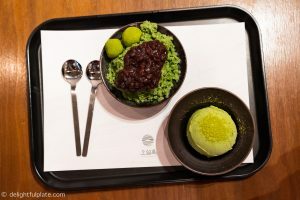 Their green tea bingsu also has red beans, a scoop of green tea ice cream and rice cakes. If you like green tea/matcha, definitely try it. 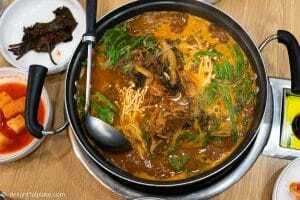 When it comes to finding places to eat in Seoul, there are a few resources you can use: Google, Tripadvisor, Michelin Guide for Seoul, Visit Korea, and your hotel concierge. The Michelin Guide for Seoul is still so young, I think they started it just two years ago. Therefore, you shouldn’t rely too heavily on it. Don’t hesitate to ask your hotel concierge for recommendations. Kkanbu Chicken and O’sulloc were recommended to us by our concierge. 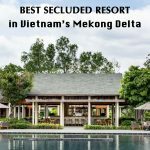 You can also read restaurant reviews on Google and Tripadvisor. To find the addresses of these restaurants, you can use Google, Naver app or Visit Korea website which has addresses in both English and hangeul (Korean alphabet). Most taxi drivers only understand addresses written in hangeul. Overall, eating out in Seoul is very affordable, unless you go to fine dining restaurants. Although I enjoyed my lunch at Mingles, I miss comforting casual Korean food more than fancy Korean food after the trip. But if you are curious about how Korean food can be elevated, eating at one or two fine dining places in Seoul is definitely worth it. In general, services at restaurants in Seoul are pretty efficient. They take orders very promptly and usually bring out the food shortly after that. Unless you go to fine dining places, services aren’t very warm or attentive, meaning they don’t check on your table to see how you’re doing during the meal. However, if you need anything, let them know and they will bring it out very quickly. Staff at casual restaurants only understand simple English words most of the time, but you can always point at the menu to let them know what you want. We don’t speak Korean at all and didn’t have any issues ordering food at the places we recommended in this guide. We were also surprised to see that a lot of places have staff that can speak Mandarin Chinese. 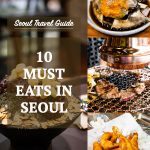 I hope you find our list of must-try restaurants in Seoul useful. 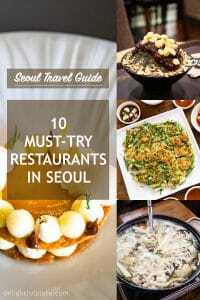 If you have any recommendations or tips for eating in Seoul, or if you have tried the places in our guide, please feel free to leave a comment.